We were at a great pizza place downtown Milwaukee called Via on Downer. Paul and I have always loved their sister restaurant, Transfer, so we decided to give Via a shot. I liked how they differentiated the two restaurants. The menu looked the same at first glance but it was a unique menu, which was nice. The décor at the restaurant was also similar to Transfer but had its own look and feel. It was nice that they didn’t make a carbon copy of the other restaurant but you could still tell they were buddies. They had an AMAZING pizza called the Verde. I have since replicated it a few times at home. I love this pizza because it wasn’t too heavy and you really get to taste each ingredient on its own but they all marry so well together at the same time. This is such a light pizza it works great as an appetizer too! Caramelize onions over a medium heat until they are dark brown in color. Meanwhile, mince some garlic and mix it with olive oil and a little salt and parmesan cheese. This will be your sauce. Bake your crust until it is almost done. (try my Thin Crust Pizza Dough recipe). Bring the crust out of the oven and spread on your olive oil sauce. 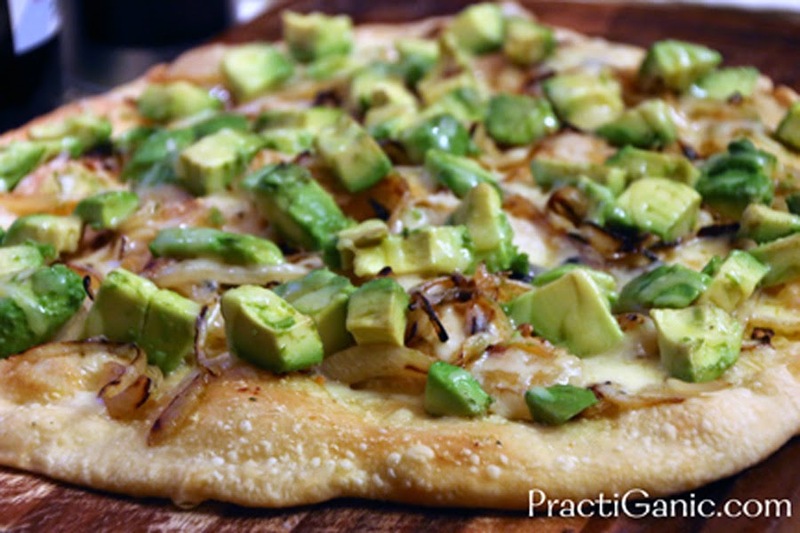 Top with caramelized onions, diced avocados and shredded cheese. 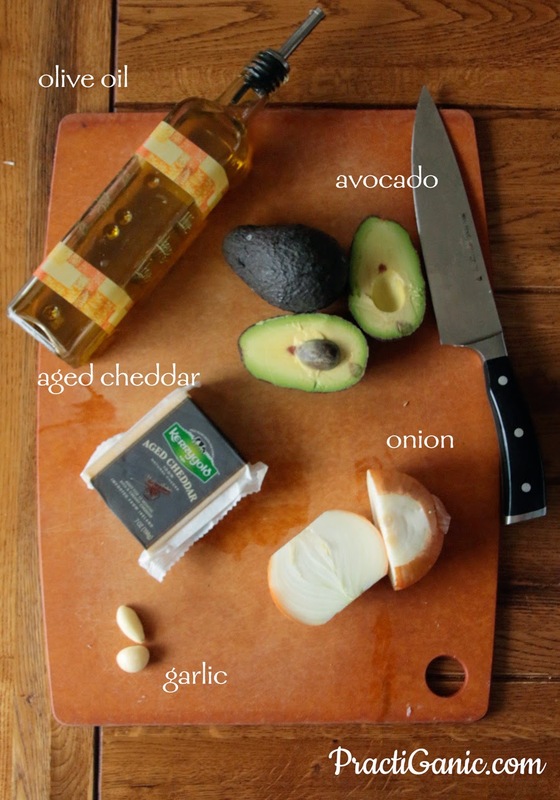 If you’re not using a salty cheddar, I sprinkle a little salt over the pizza to bring out the flavor of the avocado. Put pizza bake in the oven at Broil. Broil for only 1 or 2 minutes so that the cheese melts slightly.